Kaitlin was born and raised in Edmonton, where her grandparents encouraged her to ride at a very early age. She first began riding English, then showed in Hunters and Jumpers. 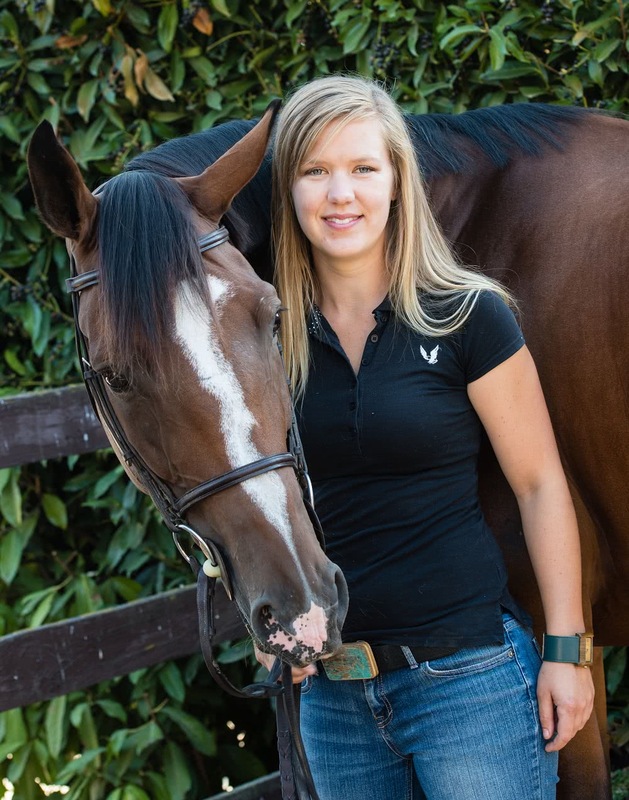 While completing her BSc in Physiology from the U of A, Kaitlin worked as a groom and Equine Massage Therapist. During the summer breaks, while studying at the U of C: Faculty of Veterinary Medicine, Kaitlin worked with chuckwagon horses for a research project on cardiovascular performance; with Dr Dan French at Spruce Meadows; and externed at equine veterinary practices in Edmonton, Calgary, Langley, Colorado and Tennessee. After attaining her DVM degree, Kaitlin was offered a very competitive Internship position at Tennessee Equine Hospital, a 14-veterinarian specialty referral practice near Nashville. Kaitlin has special interests in dentistry, sports medicine, and alternative therapies such as massage therapy, chiropractic and acupuncture. In her spare time, Kaitlin enjoys riding and jumping her horse Belle, a 10 yr old Canadian Warmblood mare, who has been her loyal companion through her travels. Outside of horses, she likes running, hiking, and watersports which has drawn her here, with her boyfriend and fellow Veterinarian, Adam, and their two Husky crosses, Kupffer and Scout.